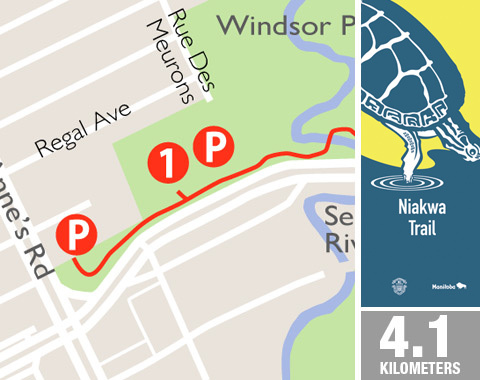 Named after the residential community of Niakwa, this pathway follows the north side of Fermor Avenue between St. Anne’s Road and Niakwa Road East. This popular multi-use trail is an important pedestrian and cyclist corridor and provides a vital link to communities and amenities. King George Park – Located at the south end of Des Meurons this small recreational park contains a lovely children’s play ground as well as a baseball diamond and outdoor swimming pool. Papoose Park – This nicely treed strip of linear park features a very picturesque foot bridge over the Seine River. Royal Canadian Mint – This eye-catching architecture houses a very high-tech, high-volume manufacturing facility. Every single Canadian circulation coin is produced here – literally billions each year. Established in 1976, this plant occupies a 14,864 m2 state-of-the-art facility.